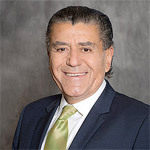 Media mogul Haim Saban was born in 1944 in Alexandria, Egypt. When he was 12, he and his family fled Egypt and the Suez Crisis for Tel Aviv, Israel, where he lived until he was 31 years old. A constant troublemaker, he was expelled from school and enrolled in a night school, where his principal told him he was more suited to making money than hitting the books. Turns out he was right. After a brief stint in the Israeli army, Saban started his own business promoting concerts and managing bands. The 1973 Yom Kippur War wiped his business out, and two years later Saban moved to Paris to work as a music producer. In 1983, he moved to Los Angeles, where he worked as a television producer, eventually founding Saban Entertainment one year later. Saban’s claim to fame is that he transformed the Japanese TV program Mighty Morphin Power Rangers into a global brand that he still owns and manages today. In 1995, he formed Fox Family Worldwide, Inc. in a joint venture with Fox Broadcasting, an affiliate of News Corp. He and News Corp. then sold the company to Disney in 2001 for $5.3 billion. 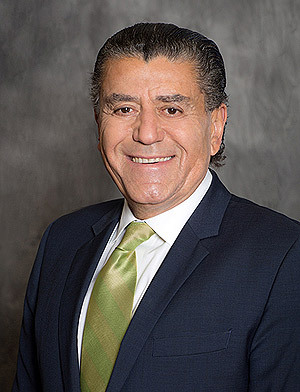 His largest holding is his $500 million slice of Spanish language broadcaster Univision, which he acquired in 2007. In 2011, his company, Saban Capital Group, bought a 7.5% stake in Indonesia’s largest TV and radio media group, Media Nusanatara Citra. Saban has been married to his wife, Cheryl for 26 years. Together, they have dedicated much of Saban’s fortune to health care, donating nearly $47 million to Children’s Hospital Los Angeles, $11 million to the Saban Free Clinic, and just over $15 million to the Soroka Medical Center in Israel. They are also longtime Democratic donors and close friends of the Clintons. Saban and Cheryl have two children and reside in their Beverly Park estate. In March, Forbes estimated Saban’s net worth at $3.1 billion. Saban Capital Group purchased their share of Media Nusanatara Citra for $110 million . In under two years, the holding has doubled in value. Saban personally profited $1.7 billion from the sale of Fox Family to Disney.